The Smart Fac­to­ry and the relat­ed dig­i­tal­i­sa­tion offer wide-rang­ing poten­tial for long-term and pre­dic­tive main­te­nance. But what are the ben­e­fits for com­pa­nies? And what are the pre­req­ui­sites for ensur­ing that the data nec­es­sary for plan­ning, pro­cess­ing and doc­u­ment­ing main­te­nance mea­sures is exchanged reli­ably? What is cer­tain is that main­te­nance staff are by def­i­n­i­tion pro­duc­tion ser­vice providers – even if the job descrip­tion has changed con­sid­er­ably in recent years. “Today, main­te­nance staff are no longer called in only when there is a mechan­i­cal, hydraulic or pneu­mat­ic prob­lem that has brought a machine to a stand­still,” explains Peter Strohm, Glob­al Ser­vice Project Man­ag­er at Emag Sys­tems GmbH. “Today it’s cru­cial for main­te­nance tech­ni­cians to be ful­ly famil­iar with the hard­ware and soft­ware of their machines in order to plan repairs in advance and pro­cure any required mate­ri­als. They increas­ing­ly have to use dig­i­tal ser­vices to help them mon­i­tor the con­di­tion of the machines. Before pur­chas­ing a machine, com­pa­nies should make sure that the man­u­fac­tur­er offers ser­vice solu­tions that are tai­lored to their indi­vid­ual require­ments. Emag responds flex­i­bly here: “We offer cus­tomers main­te­nance pro­vid­ed by our own spe­cial­ists, but we also sup­port cus­tomers who want to car­ry out their own main­te­nance. Basi­cal­ly, how­ev­er, it is impor­tant for every solu­tion to be future-proof with regard to dig­i­tal­i­sa­tion,” says Strohm. But what is the most effec­tive way for com­pa­nies to struc­ture and imple­ment their main­te­nance process­es? A new EU stan­dard pro­vides a use­ful man­age­ment tool here: DIN EN 17007:2017 struc­tures and describes the typ­i­cal main­te­nance pro-cess­es of a com­pa­ny in a uni­ver­sal­ly applic­a­ble form. These process­es serve as a ref­er­ence, e.g. for com­pa­nies coor­di­nat­ing their own process­es with the ser-vices of ser­vice providers or for com­par­ing them­selves with oth­er com­pa­nies. The stan­dard also sug­gests suit­able key fig­ures for mea­sur­ing the indi­vid­ual main­te­nance process­es. DIN EN 17007:2017 is based on a French stan­dard and its scope has been con-sider­ably expand­ed in coop­er­a­tion with var­i­ous oth­er Euro­pean coun­tries. In Ger­many, main­te­nance man­agers from var­i­ous man­u­fac­tur­ing and process in-dus­tries were involved in the devel­op­ment. 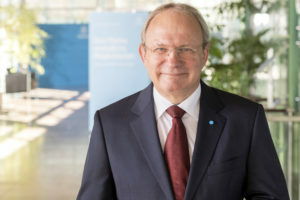 One of the lead­ing fig­ures in the pro-ject is Prof. Dr. Lennart Brum­by, head of the Ser­vice Engi­neer­ing Depart­ment at the Baden-Wuert­tem­berg Coop­er­a­tive State Uni­ver­si­ty in Mannheim. “In the net­worked world of work in Indus­try 4.0, it will be impor­tant not only to co-ordi­nate the infor­ma­tion sys­tems, but also to mesh the respec­tive busi­ness pro-cess­es with one anoth­er. As a trail­blaz­er for Indus­try 4.0, main­te­nance needs ref­er­ence process­es for the key tasks, both for the core process­es of reac­tive and cor­rec­tive main­te­nance as well as for the wide range of sup­port process­es. Only then can net­work­ing suc­ceed,” he said, empha­sis­ing the need for a struc-tured and com­par­a­tive approach. Com­pa­nies are ori­ent­ing their dai­ly oper­a­tions to the new stan­dard. “At Emag, we have been work­ing for some time on a prod­uct that facil­i­tates wear analy­sis of the machine axes and spin­dles using a vibra­tion sen­sor. Based on a defined dry run of the machine, we will in future be able to use an algo­rithm to eval­u­ate which machine com­po­nents are like­ly to fail. This gives the main­te­nance engi­neer opti-mum sup­port for his repair and main­te­nance plan­ning,” says expert Peter Strohm, cit­ing one exam­ple. The aim of such pre­ven­tive and pre­dic­tive main­te­nance is to elim­i­nate down­times in the future. The Emag sys­tem has already proven itself in prac­tice; it is cur­rent­ly being suc­cess­ful­ly test­ed by pilot cus­tomers. Anoth­er exam­ple is a ser­vice app from Emag. “This makes it easy for mainte-nance staff to get in touch with our Ser­vice depart­ment. The app scans a QR code on new Emag machines and recog­nis­es the machine type and loca­tion. This then allows the appro­pri­ate ser­vice staff mem­ber to be con­tact­ed. Old machines are retro­fit­ted free of charge – and there is no age lim­it,” explains Strohm. Cus­tomers can then choose to con­tact the spe­cial­ists by tele­phone, e-mail or live video chat. The analy­sis know-how for the exten­sive sen­sor and pro­duc­tion data is of strate-gic impor­tance for Emag. Accord­ing­ly, in Sep­tem­ber the Emag Group acquired a minor­i­ty stake in anaci­sion, a spe­cial­ist data analy­sis com­pa­ny based in Karls-ruhe, Ger­many. The two part­ners are now joint­ly devel­op­ing soft­ware solu­tions for the machine tool indus­try – in the area of pre­dic­tive main­te­nance, for exam­ple. “We regard our minor­i­ty inter­est in anaci­sion as the start of a far-reach­ing strate­gic devel­op­ment part­ner­ship for Indus­try 4.0,” says Markus Heßbrüggen, CEO of the Emag Group. But today’s experts not only have to main­tain and opti­mise machines and auto-mation sys­tems, they must also ensure that the dif­fer­ent sys­tems com­mu­ni­cate with each oth­er. Fur­ther­more, they must ensure that is pos­si­ble to con­duct data analy­ses across dif­fer­ent inter­faces. This should ulti­mate­ly help iden­ti­fy fur­ther poten­tial for the selec­tion of suit­able effi­cien­cy mea­sures. The inter­face between IT and main­te­nance in par­tic­u­lar is an impor­tant cor­ner-stone of mod­ern main­te­nance. “This is also a major chal­lenge for the com­pa­nies because they have to ensure that their employ­ees are appro­pri­ate­ly qual­i­fied in this com­plex envi­ron­ment,” says Dr. Jens Reichel, Head of Tech­ni­cal Ser­vices & Ener­gy at thyssenk­rupp Steel Europe AG in Duis­burg. This is some­times dif­fi­cult, par­tic­u­lar­ly in view of the short­age of good IT spe­cial­ists on the labour mar­ket. For Reichel, data secu­ri­ty is anoth­er impor­tant issue in dig­i­talised, mobile main­te­nance. Smart ser­vices today often involve pro­duc­tion com­pa­nies feed­ing pro­duc­tion data into the Cloud via an inter­face. Appro­pri­ate back­ground analy­ses are then car­ried out in the Cloud: these pro­vide an insight into what is hap­pen­ing in the plant, but can also be used to issue alerts of pos­si­ble fail­ures. “Many pro-duc­tion com­pa­nies are reluc­tant to give third par­ties access to their data. For one thing, it allows con­clu­sions to be drawn about process para­me­ters which could reveal com­pa­ny know-how. And it also opens up access chan­nels to the pro­duc-tion process­es, which could lead to abuse,” Reichel explains. To coun­ter­act this, ded­i­cat­ed fil­ters – fire­walls – are cre­at­ed for the open chan-nels. Com­pa­nies use these to make intru­sion as dif­fi­cult as pos­si­ble. A sec­ond way is to open up data access only to the extent required by the case at hand. This means fil­ter­ing avail­able data in advance to reduce it to the appro­pri­ate lev­el for the intend­ed analy­sis. In this case, employ­ees must know which secu­ri­ty pro-cedures need to be installed at the appro­pri­ate inter­faces. “Basi­cal­ly, it’s impor­tant to real­ize that main­te­nance is an area of cor­po­rate exper­tise which is worth pro­tect­ing,” says Reichel, empha­sis­ing the sig­nif­i­cance of the top­ic. 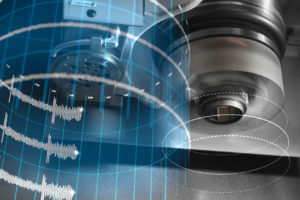 Machine tool man­u­fac­tur­er Emag guar­an­tees data and access secu­ri­ty by grant-ing access to defined machine con­trol data via a sep­a­rate eval­u­a­tion PC. “This writes the data to a local serv­er at the customer’s premis­es. The cus­tomer can then decide whether and which data should be syn­chro­nised with a cloud serv­er. This means that the machine con­trol sys­tem is not direct­ly con­nect­ed to the In-ter­net and the cus­tomer can then choose him­self how he wants his data to be han­dled,” explains project man­ag­er Peter Strohm. How­ev­er, main­te­nance also offers poten­tial for greater effi­cien­cy. At thyssenk­rupp Steel, experts are cur­rent­ly refin­ing con­di­tion mon­i­tor­ing sys­tems which will then allow them to be cou­pled with data from process con­trol, process automa­tion sys­tems and qual­i­ty man­age­ment. “The aim is to be able to draw con­clu­sions regard­ing opti­mum oper­a­tion of the sys­tem, i.e. opti­mised either for max­i­mum ser­vice life or, depend­ing on the parts involved, for the max­i­mum through­put or the best pos­si­ble qual­i­ty,” Reichel explains.